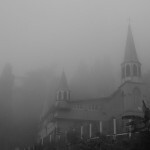 Places to see in Kurseong: You will surely fall under the spell of the natural splendor of Kurseong, admired with a number of sightseeing locations. The Eagle’s Craig view point is just 1 km uphill from the Kurseong railway station. It offers a panoramic view of the surrounding hills, mountains, slopes, hamlets and meandering Teesta River. The breathtaking view of the unexplored plain below truly offers a visual pleasure. You will also find a watchtower, a cafeteria and a flower garden here. The Kettle Valley Picnic Spot nestled in an amazing backdrop of snow-clad mountains is another ideal picnic spot in the Dilaram Tea Estate. A visit to the nearby Grotto, housing the statue of Virgin Mary is a ‘must visit’ for all tourists. The surrounding of the place is truly amazing. The Gidapahar Sati Mata Temple is an ancient temple of Goddess Durga made of ancient rock. Bagora is another popular destination here. Popularly known as Zero Point, this place has the highest altitude in Kurseong. The place is also famous for its Indian Air Force base camp with a helipad and views of Mt. Kanchenjungha. There is also a Forest Museum, Deer Park and a mini amusement park in Kurseong. Remember to visit the satelite zoo at Dow Hill. It is a captive breeding center for blue sheep, pheasants, barking deer and other animals. The Tea gardens are a major attraction of the tourists visiting Kurseong. Some of the major tea estates are Castleton, Ambootia and Makaibari tea estate. Nearby attractions of Kurseong: You can visit Giddapahar view point, located a few kilometer away from Kurseong. The place offers a wonderful view of mountains. Travel a distance of 14 km from Kurseong to reach the Bhangzang Salamander lake, which is the refuge of some endangered and rarest species of salamanders. Darjeeling, Kalimpong and Mirik are all nearby attractions of Kurseong. Things to do in Kurseong: Trekking is a popular activity of the tourists visiting Kurseong. A one day trek is organized by the Tourism department from Kurseong to Mirik via Namsu and Balasun River. You can also enjoy a nature walk along the scenic landscape of Kurseong. You can also take snaps of the surrounding beauty. How to reach Kurseong: The nearest airport of Kurseong is located at Bagdogra. You can avail taxis and buses from the airport to reach Kurseong, located at a distance of 60 km. The two nearest railway stations of Kurseong are located at Siliguri (50 km) and New Jalpaiguri (57 km). Taxis and buses are available from both the stations to reach Kurseong. You can also enjoy a ride of toy train from New Jalpaiguri to Kurseong, which takes around 5 hours. Kurseong is also connected by roads with Siliguri, Darjeeling, Mirik, Kalimpong and Gangtok. Best time to visit Kurseong: The very essence of Kurseong is its wonderful weather. So you can visit the place any time of the year. However, it is better to skip the rainy season. Lodging and dining facilities in Kurseong: There are some private hotels in Kurseong offering decent lodging and dining facilities.